This is one from the WINE SPECTATORS TOP 100 and for 13 bucks it is rather unexpensive regarding the other big names from this list like Mascarello, Altesino, Guado al Tasso, Chapoutier etc.! 10 months of new and used french oak influence here. Intensive ruby red colour. A modern Nero d’Avola with a mix of ripe cherries, burned earth, dried rosemary and origano in the bouquet. Medium bodied and really juicy appearance on the palate. Absolutely dry and without any hidden residual sugar or jammy hints. Seriously fruity and really spicy/peppery flavours add to it. More herbal flavours and wild black berry pair with smokey hints of cigar box. Balanced, smooth and with a nearly zesty finish.Already well integrated, but always present tannins show only up in the finish. Nice. 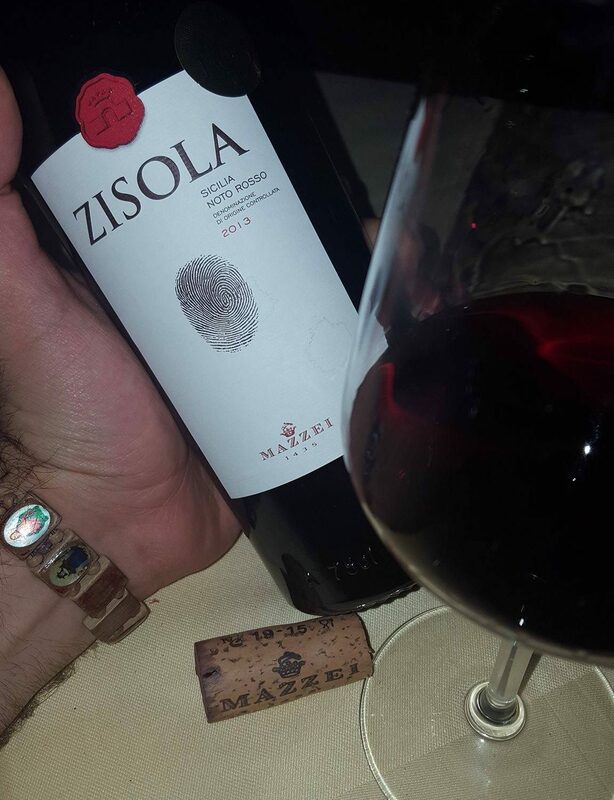 The famous Mazzei’s produce elegant wines in Tuscany and they know how to implement it in hot hot Noto region – Well done! Definetely 90 Points here and still with potential for some more years – and also points!